Somehow girlfriday has become all American Idol, all the time. It's time for a fight over something other than which starry-eyed teenager is a better performer. Long threatening to write this, I will set aside my perfectionism and self-consciousness and just get started. This series (simple though it may turn out to be) is for the handful of Republicans and Independents who read girlfriday and who see in Barack Obama hope for a shift in politics as usual. People who want change. I will label every post "The Case Against Barack Obama" so it will be easy to reference them(once my temperamental Technorati Tag Cloud updates, that is). And I will try to break down every post by subject, so we can focus on what I consider the major issues. My goal is to convince you not to vote for him. It's really that simple. If I'm wrong and Barack Obama turns out not to be the dangerous, idealistic, flaming left-winger I think he is, the better for all of us. Because he has a very good chance of winning. I'd rather talk about Idol more. Seriously, we are all in agreement that Syesha goes next, yes? I agree. There is something about Obama that is worrisome to me. Besides the fact that he supports abortion (the worst possible type of abortion I might add). He has a suave answer to everything, doesn't skip a beat while his rhetoric is all about eliminating our civil rights. 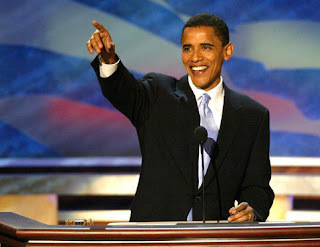 Is it me, or could there be a direct connection between American Idol fans and Barack Obama fans. If this comment space is any barometer of America - and I think we'd all agree it is - then YES. So let's have it already! We're damned if we do and damned if we don't. Either way we're damned. it makes me want to start a mirror blog on my website, "A case for Barack Obama"
i'll do it... i swear i'll do it... though i'll probably wait for you to start. it could be fun, and bring about discussion, of which i (at least) would enjoy. Oh for crying out loud, Sam, do you support him too! and so it begins... since you have not started.... i am going to begin today, "A Case for Barack Obama"